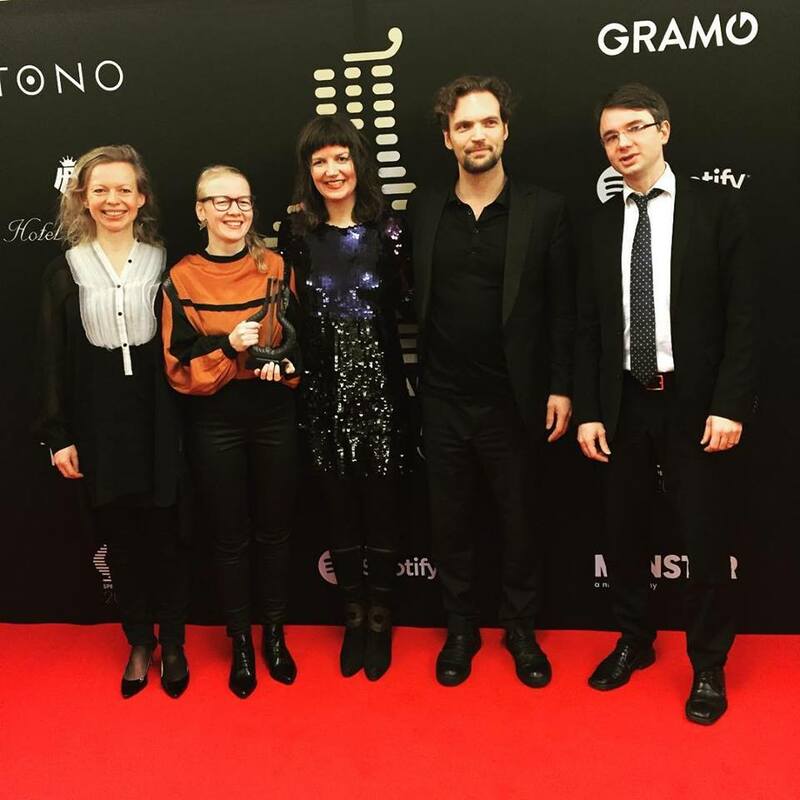 It was eight years ago, at the 2008 Ultima festival in Oslo, that Norwegian group Asamisimasa premiered White In Berlin, which had been written by Oxford born composer Laurence Crane. Neither party realised that this would prove to be the start of a fruitful musical partnership. Since then, Asamisimasa have travelled the world playing live, and often, have performed White In Berlin. It quickly became a live favourite, and in the process, introduced Laurence Crane’s music to a much wider audience. Six years later, in 2014, and Asamisimasa’s percussionist Håkon Stene was about to release his debut album Lush Laments For Lazy Mammal. One of the tracks Håkon Stene had recorded was the Laurence Crane composition Riis. It was hailed as one of the highlights of a critically acclaimed, groundbreaking album. Two years later, and Asamisimasa decided to record Riis for their new album Sound Of Horse. It features seven Laurence Crane compositions, including White In Berlin. This was fitting, given it was the track that started what has become a long-running and successful partnership between Laurence Crane and and Asamisimasa. They received equal billing when Sound Of Horse was released. That seemed fair. After all, Laurence Crane wrote the thirteen compositions over a space of several years. By the time Sound Of Horse was released, Oxford born Laurence Crane was fifty-five. He was an internationally renowned composer whose compositions had won the respect of not just critics, but his contemporaries and all the musicians who had worked with him. This includes English composer and pianist Michael Finnissy. He had played and recorded Laurence Crane compositions between 1985 and 1999. Eventually, twenty of these compositions found their way onto the Michael Finnissy compilation 20th Century Music-Solo Piano Pieces 1985-1999. It was released to widespread critical acclaim in 2008. The same year, Laurence Crane’s partnership with Asamisimasa began. They premiered White In Berlin at the 2008 Ultima festival in Oslo. By then, Asamisimasa had been together since 2002, and were regarded as one of the rising stars of Norwegian music. In 2009, Asamisimasa self-released their debut album This was Asamisimasa Plays The Music Of Øyvind Torvund-Neon Forest Space. It was a limited edition release, and one that showcased a talented and innovative band. Six years later, Asamisimasa Plays The Music Of Øyvind Torvund-Neon Forest Space was reissued by Aurora in. By then, Asamisimasa had released another album. This was Pretty Sound-Solo And Chamber Music. It was an album of compositions by Simon Steen-Andersen. Pretty Sound-Solo And Chamber Music was released, Simon Steen-Andersen and Asamisimasa received equal billing on an album that received rave reviews. The rise and rise of Asamisimasa continued. Meanwhile, a compilation of piano music British! was released during 2011. It celebrated five leading composers of piano music. This included Laurence Crane. Two of his compositions Chorale For Howard Skempton. Fragile and Birthday Piece For Michael Finnissy were chosen. Both were a reminder of a truly talented and inventive composer. So was the compilation Chamber Works 1992–2009. It was released in 2014 and was a comprehensive overview of some of Laurence Crane’s best compositions. This included Riis and John White In Berlin. One of these tracks had just been recorded by a member of Asamisimasa. This was percussionist Håkon Stene, He was just about to release his critically acclaimed debut album Lush Laments For Lazy Mammal. One of the tracks Håkon Stene had recorded was Riis. In doing so, Håkon Stene introduced Laurence Crane’s music to a new and much wider audience. Two years later, and Asamisimasa decided to rerecord Riis. This was as part of Sound Of Horse. It was an album of thirteen compositions by Laurence Crane. These compositions had been written over a period of years. Unlike most compositions, which are extremely detailed Laurence Crane’s cinematic compositions have a skeletal quality. This is deliberate, and encourages artists to flesh out the compositions. Having said that, Laurence Crane adds detailed notes to his compositions. This includes what instruments he envisaged being used on a composition. However, Laurence Crane’s less is more approach works and works well on Sound Of Horse. Some of their titles on Sound Of Horse are intriguing, including John White In Berlin and Old Life Was Rubbish. Sometimes, the titles seem to have a surreal quality. Especially, throughout the ten part Events’ suite. That comes as no surprise. Laurence Crane picked the titles from a 1997 edition of the Guardian, a British broadsheet newspaper. That’s why there’s references to famous people’s birthdays, foreign exchange rates and a record of British weather. This is a somewhat unusual approach to naming compositions. Some may see this as a rather eccentric approach to naming a composition. So what? Britain has a long and rich history of eccentric behaviour going back hundreds of years. Maybe Laurence Crane is ensuring that this tradition continues in the somewhat staid world of composition. However, Laurence Crane’s compositions have a wonderful cinematic quality. Especially when interpreted by Asamisimasa. Recording of Sound Horse took place at Norges Musikkhøgsko. This is the prestigious Norwegian Academy of Music. That was where the five members of Asamisimasa reunited to record what would be their first album in five years. One thing hadn’t changed though. That was the lineup of Asamisimasa. It still featured clarinetist Kristine Tjøgersen; cellist Ellen Ugelvik; guitarist Anders Forisdal; percussionist Håkon Steno and pianist and keyboardist Tanja Orning. They were joined by guest artist, soprano vocalist Ditte Maria Bræin. Co-producing Sound Of Horse were Håkon Sten and Christian Blom. Once the album was complete it featured cinematic and illusory music that was truly captivating. John White In Berlin opens Sound Of Horse. It’s a near fourteen minute epic. At the heart of the arrangement unfolds is a prolonged drone. It comes courtesy of an organ drones. This adds an element darkness and drama. So do what sounds like gusts of wind and the eerie sound of a cello. Slowly and gradually the arrangement unfolds. Repeated stabs of piano are added. They add to the cinematic sound as drone shimmers. When the piano drops out, the arrangement rumbles and a clarinet plays. As it drops out, a deliberate and eerie piano plays as and joins the drone and clarinet. Later it adds what sounds like a foghorn and adds to the cinematic sound. So do the gusts of wind, slow, deliberate and dark piano and drones. Together, they create an unsettling, dark, dramatic and cinematic soundscape to a film that’s yet to be made. Old Life Was Rubbish is a track where Laurence Crane hadn’t specified which instruments to use. So Asamisimasa use just a piano, bass clarinet and guitar. The piano is to the fore, as it’s played deliberately and firmly. It’s as if pianist Tanja Orning is venting her frustration at her Old Life. She stabs out the two chords. Meanwhile, the bass clarinet drones and with the guitar plays a supporting role. Only two chords are used throughout the soundscape. This adds a mesmeric quality, as a sense of frustration and hopelessness become apparent. A burst of clarinet gives way to a droning organ on Riis. It’s not an unpleasant backdrop, and soon, the listener is luxuriating in its soothing sound. Especially as the clarinet and cello adds the harmonics. This adds a contrast, as Tanja Ornin shifts between big, bold, chords. Later she moves down the register, and the chords take on a comforting, dreamy quality. It’s reminiscent of an old church organ, as its played slowly and produces a captivating dreamy and lysergic sound. For three part Events suite, Laurence Crane found inspiration in the Guardian newspaper dated 7th February 1997. That was where he found the lists of people celebrating their birthday; foreign exchange rates and what the weather would be like in certain parts of Britain. During these three parts of the Events suite, Asamisimasa enlist soprano vocalist Ditte Maria Bræin. She makes her debut on Events I-Various People Celebrating Their Birthday On 7 February 1997. Against an slow, spartan backdrop of three clarinets, Ditte Maria Bræin sings the name of various writers, sport’s people, philosophers and broadcasters. Sometimes, vibes augment the clarinets. Mostly, though, it’s the clarinets and vocal that take centre-stage on what’s an slow, spartan, spacious and ethereal sounding track. On Events II-Selected Foreign Exchange Rates On 7 February 1997, Ditte Maria Bræin is accompanied by the three clarinets and vibes. Slowly the vibes accompany Ditte Maria Bræin as she sings the various exchange rates. The clarinet then responds to her call, and pickup the baton. From there, Ditte Maria Bræin sings the next exchange rate, before the clarinet returns. Just like the first part in the Events’ suite, it’s a truly innovative piece of music where Asamisimasa and Ditte Maria Bræin manage to make the exchange rate from 1997 captivating and elegiac. A clarinet drones on Events III-Some Places In Britain With Weather At 12.00 On 7 February 1997. It gives way to the vibes. They’re played carefully and are part of what’s another spartan backdrop. Soon, the clarinet and then vibes return. Only then does Ditte Maria Bræin’s soprano vocal enter. However, it’s slow and tender as she takes the listener on a journey from Aberdeen to Exeter, stopping at everywhere from Carlisle to Glasgow. Just like two previous parts in the Events suite, Asamisimasa and Ditte Maria Bræin somehow make the mundane seem melodic and mysterious. The remainder of Sound Of Horse is taken up by the seven part Sound Of Horse suite. This begins with Straightforward, where a droning clarinet is joined by a gently strummed acoustic guitar. Later, space is left within the arrangement. After this pregnant pause, a rasping bass clarinet takes centre-stage. It adds a contrast to the acoustic guitar, as if light gives way to Dark on this seven part suite. Dark is the second part in the suite. A strummed guitar is part of a what’s a Dark, understated and spacious soundscape. A drone sits deep in the mix, as myriad of atmospheric sounds flit in and out. This includes the clarinet and cello. They play supporting roles, to the almost omnipresent guitar. They play their part in what’s an atmospheric, cinematic and ruminative soundscape. What sounds like vibes are joined by the cello on Warm. It produces a thoughtful sound, as the vibes add an almost mesmeric backdrop. Later, the wistful sound of a clarinet is added. This replaces the cello and adds another contrast. Then as the listener are revelling in the melodic nature of soundscape, Asamisimasa throw a curveball. A cello adds an element of drama, and briefly, it looks as if Asamisimasa are heading in the direction of free jazz. They don’t. Instead, it’s a reminder to expect the unexpected. From there, there’s a return the previous melodic sound. Straight away, there’s a rocky hue to Loud and Rough. This is very different to the classical inspired Warm. A bass clarinet combines with stabs of piano, before a drum pounds and a cello sweeps. It’s soon joined by a second clarinet. Instruments flit in and out, as it looks like Asamisimasa are about to stretch their legs musically. They don’t. Instead, they play within themselves in what’s a restrained and understated performance. Just like on Warm, it’s a case of expect the unexpected from Asamisimasa. Thoughtful and ruminative describes Very Plain as the cello and rasping bass clarinet play. Soon, just the plaintive cry of a lone clarinet remains. Before long, it’s augmented by melancholy cello and braying clarinet. Together, they create a quite beautiful but wistful backdrop. Just as the listener begins to wallow in it, out of nowhere a firmly strummed guitar makes a brief appearance. Before long, it disappears, leaving the melancholy backdrop. Deep down, one knows it will reappear. That proves to be the case, as Asamisimasa spring another surprise at 3.51. This time, the scrabbled Spanish guitar overthrows the rest of Asamisimasa during what’s a akin to coup d’état. For the rest of the track, the guitar takes centre-stage adding urgency and a contrast musically and stylistically. In doing so, Very Plain is transformed as Asamisimasa spring an other surprise. Slowly Luminous and Serene begins to reveal its subtleties and beauty. A a glacial sound takes centre-stage and is joined by a droning organ and cello. Together, they produce glorious washes of sound. They ebb and flow, before the clarinet is added. It takes centre-stage, as washes of sound rise and fall. They produce the perfect counterpoint for the clarinet, in what’s a truly beautiful, ruminative soundscape. It’s one of the highlights of Sound Of Horse. Closing Sound Of Horse is Solemn and Formal. It’s the perfect description of this cinematic track. The melancholy sound of a cello is joined by the piano, rasping clarinet is joined by the ominous sound of a drum. Together, they sound as if they’re providing the soundtrack to a battle within a period drama. Especially the drums and droning clarinet, which at one point, sounds like a plane engine stalling. When this happens, an ominous beat is played on the back of a cello or guitar. Suddenly, the arrangement dissipates and leaves the listener wondering what happened next? This is testament to Laurence Crane and Asamisimasa’s ability to make poignant, moving cinematic music. It’s truly captivating. That is the case throughout Sound Of Horse. The music is variously dark, dramatic and eerie, to elegiac and ethereal. Other times, it’s melancholy and wistful, and before becoming, ruminative and thoughtful. Always, it paints pictures in the mind’s eye and takes the listener on musical journey. During this magical musical mystery tour, Sonic explorers Asamisimasa use clarinets, vibes, piano, organ, guitars, percussion and a cello. To this, they add various effects to transform the dry sound. Asamisimasa then take the listeners to places that other groups can only dream of. Meanwhile, listeners who let their imagination run riot, will be richly rewarded. 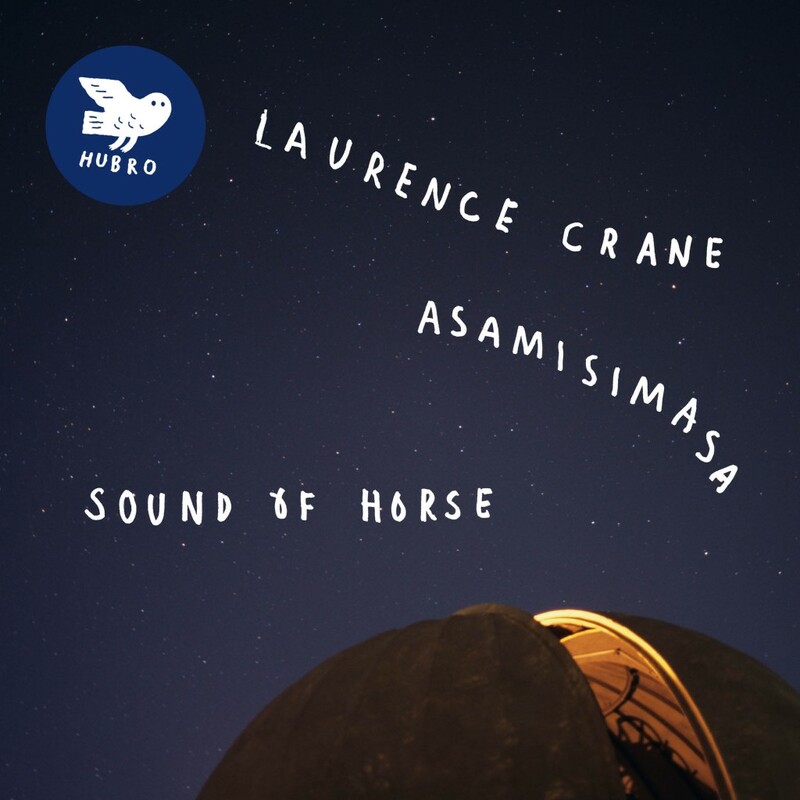 On Sound Of Horse, Asamisimasa create music that’s variously ambitious, challenging, cinematic, dramatic, inventive, innovative minimalist and urgent. It also continually captivates and sometimes, surprises the listener. Especially, when Asamisimasa through a curveball and change direction musically. That is why Sound Of Horse is a magical musical mystery tour. Throughout Sound Of Horse, Asamisimasa combine elements of ambient, avant-garde, classical, experimental, free jazz, post rock, psychedelia and rock. Sometimes, there’s only the briefest glimpses of these genres. However, they play their part in the sound and success of Sound Of Horse, where Asamisimasa continue to spring surprises. This ensures that the licenser continues to think about Laurence Crane’s captivating and cerebral music. He spent many years composing the thirteen compositions on Sound Of Horse. They’re a reminder of why Laurence Crane is regarded as one of the greatest composers of his generation. His music is beginning to find a much wider audience.Especially since Laurence Crane first began working with Asamisimasa in 2008. Since then, Asamisimasa have been interpreting Laurence Crane’s music. However, never before have Asamisimasa recorded an album of Laurence Crane’s music. That’s until the release of Sound Of Horse by Hubro Music. It includes the Events and Sound Of Horse suites. They’re part of a what’s an ambitious, cinematic and career defining album from musical mavericks Asamisimasa, who continue in their mission to introduce Laurence Crane’s music to a much wider audience. ← BEST NEW ALBUMS OF 2016-PART 1.